The marijuana debate is raging across the United States! People who thought they knew about marijuana now have questions. And they’re good questions! Is it a drug, or an herbal remedy? What’s the safest way to use it? What about marijuana and breastfeeding? If it’s legal in my state, will I still lose my job? There are as many questions about marijuana as there are people to ask them! The answers you find are usually biased because people have strong feelings about marijuana (cannabis) and products made from it. One article says it’s perfectly safe and another says it’s totally dangerous. I believe marijuana is an herbal remedy, but often abused as a drug. There are safe and unsafe ways to use it. I’m going to do my best to check my bias at the door for this article and provide you with facts – and resources to find the facts yourself. Marijuana is officially contraindicated for breastfeeding mothers. The stance of the American College of Obstetrics and Gynecologists, the American Academy of Pediatrics, and the Academy of Breastfeeding Medicine is that breastfeeding mothers should not use marijuana or cannabis products. This article has a lot of reasons why marijuana and breastfeeding don’t mix. I’m not a hater, though! Having been around mental illness that got worse with prescription medications – and learning about awful side effects from some of those prescriptions -I see medical marijuana as a good thing. But that’s not what this article is about. It’s about marijuana and breastfeeding. And I just can’t find a way they go well together. Illegal marijuana use is a very risky business – one I hope you stay away from! You risk using a product that may be tainted or laced with other chemicals or drugs (I’ve actually heard about Windex being added. Windex?!?!). Since you don’t know exactly what went into the marijuana you have, you can’t vouch for its safety. If you don’t know all the ingredients of a product, don’t put it in your body when you’re breastfeeding. Come to think of it, that’s not a bad policy even when you aren’t breastfeeding. There are a couple of other dangers with illegal marijuana and breastfeeding. First, your boss may fire you. How will you take care of your baby without a job? Second, you could go to jail. Your baby needs a mom. It’s just not worth the risk! Finally, at the risk of sounding like a scared grandma, you hear stories about people being stabbed, beaten or killed when drug deals go wrong. You’re pretty well guaranteed to not have that problem when you buy legal marijuana. Dispensary owners want as much business as they can get, and attacking customers is bad for business! With legal and medical marijuana, there are regulations ruling over the production, reporting, and sales. You’re much less likely to run across marijuana laced with other drugs. But you’re much MORE likely to come into contact with pesticides and herbicides. So there’s a trade-off. The government strongly regulates marijuana growers. Unfortunately, that’s not always the case for distributors and dispensaries. Just because something is labeled as organic or having a specific THC content, that doesn’t necessarily mean it’s accurate. Let me play big sister here and ask you not to smoke. Please. Smoke is hard on your lungs, regardless if it’s marijuana smoke, tobacco smoke, or campfire smoke. It takes a toll on your body, and if you’re breastfeeding, your body has enough going on without adding one more thing that needs to be healed. Marijuana smoke has ammonia levels that are 20 times higher than that of cigarette smoke. If you smoke around your baby (here comes big sister again – don’t smoke around the baby!) you’re putting him in direct contact with your second-hand smoke. Not cool my friend, not cool. If you’re cooler than that and keep the smoke away from your baby, the high-ammonia smoke will still be on your skin, hair, and clothes. Your baby’s skin can and will absorb THC and marijuana compounds. I’m not just preaching at moms here either, because according to ToxNet, a baby’s risk of SIDS increases when the dad smokes marijuana! Now since cannabis compounds can be absorbed through your skin, that means you don’t have to smoke marijuana to enjoy it. That also means you have new safety considerations – like whether it’s going to be rubbing off onto your baby. Will someone who used cannabis lotion or ointment hold your baby? That’s something to think about. By far the safest way to use marijuana is through edible products – and there’s no end of them out there! You can get cannabis ice cream, sweets, condiments, and drinks. They’re quite yummy looking too! So if your baby is big enough to want everything he sees you eat, or if you have older children, be careful to keep it out of reach! Cannabis edibles are safer than smoking, but they should be used with caution. They almost always have more THC (tetrahydrocannabinol – this is the chemical that makes you high) than smoked marijuana has. When you use marijuana, your fatty tissues store the THC then release it slowly into the body. 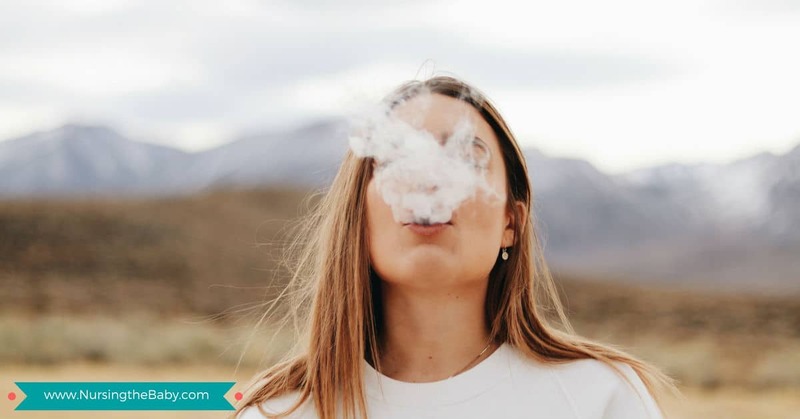 Although you won’t feel high past the first 30-60 minutes after using it, THC has a very long half-life and can stay in your body for as long as 25-30 days. With marijuana and breastfeeding, that means THC is transferred through the breastmilk for as long as it’s in the fatty tissues of the body. In Medications and Mothers Milk, when nursing moms using marijuana had their milk and blood tested, the level of THC in their breastmilk was 8 times higher than it was in their blood! That’s a sobering thought. Another reason marijuana and breastfeeding don’t go well together is that it will probably reduce your milk supply. Marijuana suppresses your luteinizing hormone and basal prolactin. These 2 hormones are essential to breastfeeding, and only one use is enough to suppress them! When I was reading on ToxNet, I saw a reference to a 2014-2015 study from Colorado (where marijuana is legal) that linked cannabis use with earlier weaning and a shorter total length of time that moms breastfed. If breastfeeding and a strong milk supply are important to you, but you feel like you need marijuana, please talk to your doctor and a lactation consultant. They can suggest medicine that can help without hurting your ability to breastfeed. If you’d like to read more about substance abuse and breastfeeding, Drs. Keenan and Cohen have an awesome post about How Substance Abuse Affects Breastfeeding! Since the THC level in breastmilk is 8 times higher than it is in the mom’s blood, what does that mean for the baby? Well, it means your baby’s dose is a whole lot stronger than yours. The effects of marijuana on babies are well documented – and unfortunately, nothing good was discovered. Since babies are more vulnerable than adults, the very same relaxing traits people love are overwhelming to the baby. Babies affected by marijuana and breastfeeding have a weak suckle reflex, so they don’t nurse as well. Weak suckling means they’re not removing as much milk and that can lead to slow growth in your baby and also hurt your milk supply. Other side effects are that the baby is drowsy, weak, and has impaired motor control. There hasn’t been any harmful effect seen on a baby’s cognitive abilities in the short-term, but there is damage seen as they get older. Children who were exposed as babies to marijuana in breastmilk have lower academic performance, lower cognitive abilities, and are more likely to have ADHD. One final, major effect is that babies who come into contact with THC, regardless of how the contact occurs, have a higher risk of dying from SIDS. As a mom using marijuana or cannabis products, you may enjoy better sleep and less stress. But at what cost? You’re very likely to sleep too deeply, which means it’s possible you won’t wake up if your baby needs you. On the other hand, if you cosleep, you run the risk of rolling over on your baby and sleeping to deeply to realize it. In other words, marijuana is gonna screw up your judgment calls! Marijuana hinders your ability to care for your baby. It weakens your muscle control. As a result, you’re more likely to stumble, drop your baby, and have a delayed reaction time. The physical effects of marijuana aren’t as drastic as the effects of alcohol. But they’re still there. Even if you seem to be functioning normally, THC is a depressant which affects the mind, nerves, and muscles. 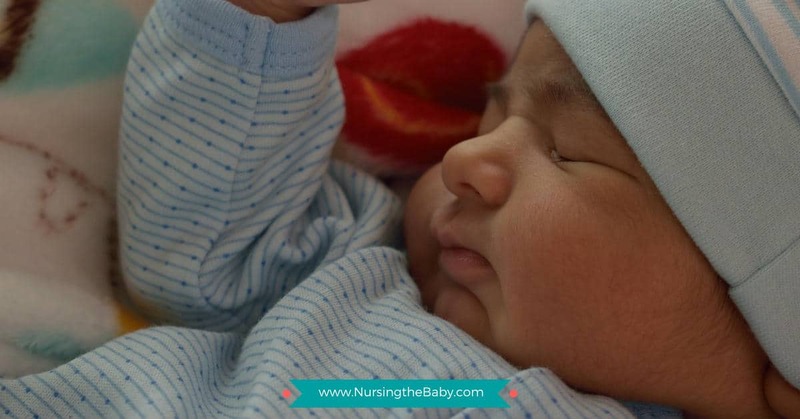 While you’re caring for a baby, your body’s ability to function should not be inhibited. You need all your cat-like reflexes to keep your baby safe! In case the baby starts to roll off the changing table, for example. Marijuana is well known to be relaxing. But depending on what kind you use, it can also have other psychological effects. Some kinds of cannabis can make you paranoid. Other kinds cause you to think everything is funny. Since I suffered from post-partum depression twice, I’m totally sympathetic to moms who need help. I can absolutely relate to the temptation of using marijuana. When I was miserable, I wanted something – anything – to take the edge off and make me feel better. I had a baby who was so incredibly high strung that I briefly wondered if he would mellow out if I smoked a joint. (Don’t judge till you’ve had postpartum depression, been sleep deprived, and listened to a fussy baby demand your attention endlessly. It’ll take you to dark places, my friend.) I’m just glad my man was there to be a voice of reason! I get wanting to take the edge off. But mama, there’s too much at stake. If you’ve used it up to this point, don’t worry. THAT DOES NOT MAKE YOU A BAD MOTHER!!! But now that you know the risks, please talk to your doctor and a lactation consultant about finding an alternative. There are a lot of prescriptions you can take that will be safer for you and your baby. If you visit the doctor while you’re nursing, they may run a drug screen. Some doctor’s offices only do this if there’s a reason to think they should, and some doctor’s offices test everyone. U.S. law requires medical providers to report every case of marijuana use while breastfeeding to Child Protective Services. Even if the mom is using marijuana legally. Even if she even has a prescription for it. Every case, without exception. Now I don’t think Child Protective Services will just swoop in and take your baby based solely on a report of marijuana use. You can bet you’ll be scared and worried about losing your baby. And I’ve never heard anyone gushing about how easy CPS is to deal with. They’ll be all in your business. You can kiss privacy goodbye. You don’t need that hassle! Regardless of where you stand on the marijuana debate, the evidence against using marijuana while breastfeeding is overwhelming. Whether it’s legal or illegal, medical or recreational, smoked or eaten – marijuana will have damaging effects on your baby, your milk supply, and your parenting ability. I understand the desire to use it, and if you weren’t breastfeeding I wouldn’t say a word. But there are just too many reasons why it’s a terrible idea when you’re a nursing mom. You and your baby deserve better! 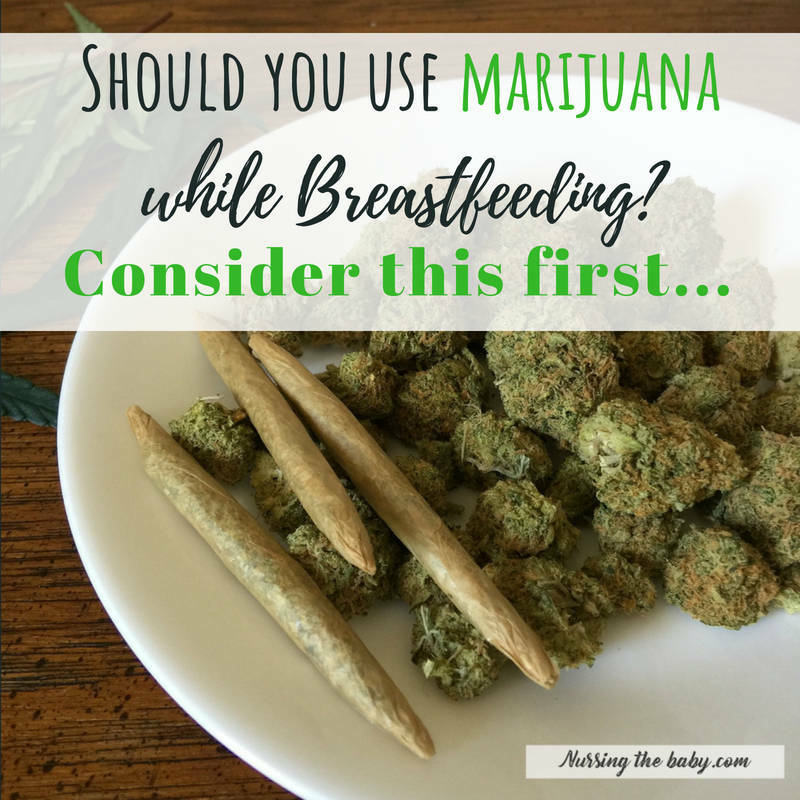 What are your thoughts on marijuana and breastfeeding? Is there anything you can add? Please comment below and share it with me! 1. Biancuzzo, M. (2017). What No One Tells You About Marijuana and Breastfeeding. Born to be Breastfed. 5. Hale TW, Rowe HE. Medications and Mothers Milk. 17th Edition. New York, New York: Springer Publishing Company; 2017: 146-48. 7. Romeo, A. (2018, April 3). Is It Safe for a Breastfeeding Mom to Use Marijuana?. 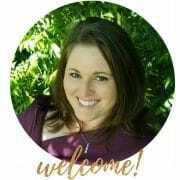 Retrieved from: www.babycenter.com/404_is-it-safe-for-a-breastfeeding-mom-to-use-marijuana_3131.bc. 8. Toxnet.nlm.nih.gov. (2018). LactMed. [online] Available at: http://toxnet.nlm.nih.gov/cgi-bin/sis/search2/r?dbs+lactmed:@term+@DOCNO+693 [Accessed 26 July 2018]. ***I am not a doctor, so any advice or information provided is for educational purposes only. It is not intended to diagnose, treat, or cure any condition. Please visit your health care provider for professional treatment advice.